We have spent countless lines of text and spoken for hours upon hours about cities that are all copying each other to implement the same old policies, no mater the size, location, or character of the city: mixed use development, bikability, walkability, greenspace, franchise fees, etc. If you follow this blog and/or our podcast you might be able to spit them out as well as we can. You’ve heard all about how the National League of Cities, the National Economic Development Association, and the National Association of Development Organizations (NADO) spit policies out to their state level counterparts, and Regional Development Organizations (RDOs) create regional comprehensive plans that shape the way your cities’ comprehensive plans are developed. I know it sounds crazy. It sounds conspiratorial, but you know what they say: it’s not a conspiracy if they’re doing it right out in the open. You can trace these policies all the way back to these huge, overarching, think tanks that have never even heard of Mora, Cromwell, or Albert Lea, let alone know what’s best for those cities. Still think that’s crazy? Over 99% of MN cities are in the MN League of Cities. Almost all of Minnesota’s cities belong to the Metropolitan Council or a RDO that belongs to the Minnesota Association of Development Organizations (MADO). Do the research for yourself. Like I said, it’s all out in the open. There are a small cadre of cities like Crystal and Oak Grove that have been bucking these trends to great success. Since Crystal is where we began, let’s take a look at what has made them so revolutionary… and popular with their residents. First off, let’s rewind. Previous to the recent group that is in control of the council, Crystal was a city that was sharply divided. Things were tense in the city, because the council decided that they wanted to make sweeping changes to the character of the city without citizen input. Sure, the plans were there. They had the meetings. There was not, however, another group like Community Solutions MN that was looking out for the people. They expanded County Road 81, created frontage roads that ran through neighborhoods, tore down houses for a huge medical center, approved light rail, were actively trying to close the airport in order to create a swath of new development, and got entangled in Minnesota Green Step Cities. There was a lot of bad blood between the council and the people. Since then, each and every member of that council has been voted out of office (and most by very wide margins), and things have taken a noticeable shift. The general tone of the population seems to be quite cohesive. The overall mood of the City and its residents seems to be calm and positive. Crystal has become a very nice place to live and raise a family. What has led to this shift? Most importantly, the new council members have realized the need for communication with residents. The old council would just act, and citizens had the opportunity to address them just before a vote, after consensus had already been reached. Not so today. This council is active on social media: Facebook, Twitter, Nextdoor, etc, constantly engaging with the community and letting them know about issues and events that they would be interested in. They hired a Community Outreach Director, whose job is not to spew propaganda and make the council look good, but to communicate to the residents what is going on at the city. They have formed citizen groups to provide feedback around identifying city ordinances that need to be repealed, the future of our parks, and big construction projects. They also passed rules for the Council to make their meetings more streamlined and cordial. The tone in these meetings has certainly shifted, allowing for dissent and discussion, but without the name calling and condescension under the former council. As of last October, Mayor Jim Adams has been working to pull the faith community together to help increase charity and improve relations across the city. They are constantly out in the community, involved with Beyond the Yellow Ribbon, the local VFW, The Light of Crystal, Arbor Day tree planting, park clean ups, and ribbon cuttings. They are actually invested in the city they live in. They also facilitated the inaugural and popular Crystal (Masquerade) Ball, which brought the community together for a fancy meal and dance with a live band. They also opened up a local park’ bandshell to public use, when it was previously restricted. They held a community event, called #BuskBecker to celebrate it. They have removed the negatives of hidden, surprise taxes and moved them to the general tax levy. Getting hit with a huge unmanageable assessment for street repair is a thing of the past. They paid cash out of reserves for the already approved City Works building. This saved millions in interest payments (more hidden taxes), and still maintained the City’s excellent bond rating. They also annually hold the line against City staff that request to begin collecting franchise fees (another hidden tax that they can push off of the utility companies that collect them). They have increased freedom for all residents of the city. This council removed point-of-sale inspections that were a hassle and a duplicative tax, as the buyer already has to pay for an inspection. Council Member Jeff Kolb took the lead on an eminent domain issue that would have allowed increased train traffic to cut the city in half, hindering emergency services from getting to people in a timely manner. This council, when given a no-choice choice from Hennepin County to approve their design on the Blue Line LRT extension, abstained to represent the majority of people in their city that were already not happy with the Hennepin County Commissioner’s Board. They have been working through the necessary steps to make Crystal a “Quiet Zone”, which would eliminate the sound of train horns as they pass through the city. The council has also taken the stance that all code violations are not the same, and have taken the stand that the punishment should fit the crime. This is also a change in philosophy from the prior council. Now, no municipality is perfect. There are always things to improve. Now that taxes are all out in the open, reducing the budget will be a huge challenge for this group. The Citizen Code Task Force has given the council its report, and now its up to the council to reduce the number of ordinances, continuing to increase freedom and improving the quality of life for the citizens of Crystal. Despite the challenges that lie ahead, however, this group seems well equipped to meet them head on, include the community, and come out on top. Maybe soon other cities will begin to notice the success of this first ring suburb and begin to copy it, rather than the policies that come from some think tank located far outside Minnesota. Jason Bradley is an entrepreneur in the music industry (Jason Bradley Live and Paper Lanterns Intl) and owns a consulting/advocacy/education firm that specializes in non-partisan politics (Community Solutions MN). 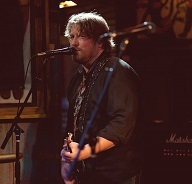 Jason Bradley helps others to reach their goals in music and reduce the size and influence of government. Entry filed under: Crystal, Uncategorized. Tags: assessments, Blue Line, bonding, Bottineau, Casey Peak, Citizen Code Task Force, City Council, Community Solutions, comprehensive planning, Crystal, Elizabeth Dahl, Franchise Fees, Green Step Cities, Jason Bradley, Jeff Kolb, Jim Adams, Julie Deshler, League of Minnesota Cities, League of National Cities, LRT, MADO, Minnesota, Minnesota Association of Development Organizations, MN, NADO, Nancy LaRoche, National Economic Development Association, NEDA, Olga Parsons, ordinances, point of sale inspections, RDO, regional development organization, taxes. Excellent article! We raised our family in Crystal, though are now retired in western Massachusetts to be near grandkids. So glad to learn that city decisions are now being made by the people who live there.